There are enemies coming from far away. I need warriors. I’m building an alliance…. Justice League has come and gone, with Aquaman resetting the DCEU showing it has some promise for all us DC fans out there. One thing that was great about JL though – Tactical Suit Batman. The design was a a great modern look for Batman in today’s world, layering up his classic duds with armor galore. Oh, and some spiffy goggles too. Mezco Toyz recently released their version of him and it does not disappoint. A stocky base frame with well done layered armor, a well done cape and tons of accessories puts this one at the top of those released so far. The face sculpts, even though only the lower halves through the mask, are very well done, they capture Ben Affleck’s features perfectly. I’m not usually a fan of the open mouth versions Mezco does, but this one is better than previous attempts. Bottom line, this is a winner, he’s getting front and center display space on my shelves. We’ve run him through the motions to show off his capabilities, read on to check them out courtesy of Entertainment Earth, he’s in stock and shipping now! No Banner, only HULK. I am a big Hulk guy, so whenever MCU Hulkeses drop I try to pick them up. 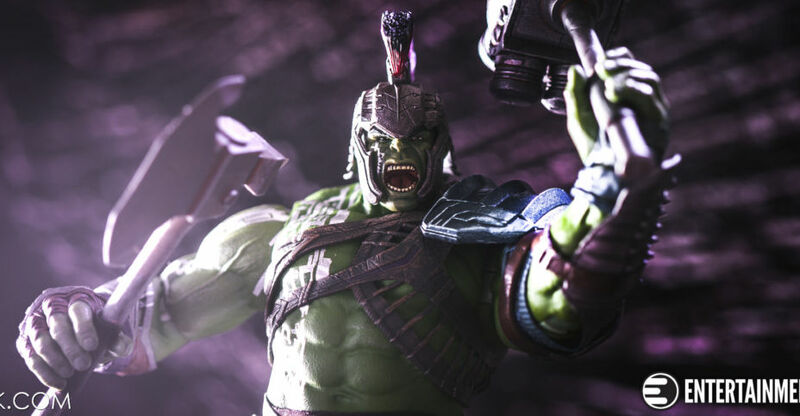 I’ve been eyeing Mezco’s One:12 Hulk since they first revealed it back in July of 2017. It was a way to get an upper tier version of the big guy on the shelf that at the time, hadn’t been done properly before. Fast forward a year and a half, things have changed out in the 1/12 scale universe. But, I kept my pre-orders in because it is still a sharp piece and I wanted to see how Mezco handled things. He comes packed with a helmeted and un-helmeted head sculpt, axe, hammer, 3 sets of hands and a display base with the Ragnarok logo on it. Soft goods are minimal, with sculpted forearm, hand and sandal parts mixed with faux leather and rubber fight gear on the chest arms and legs. 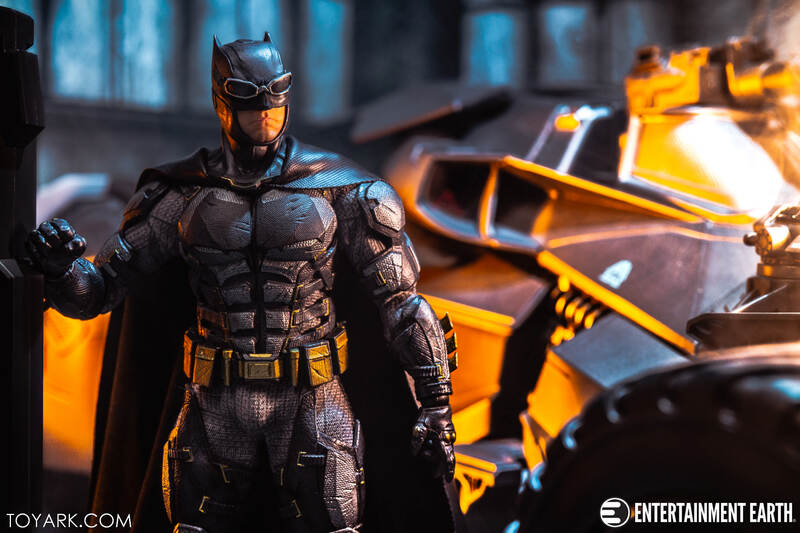 We’ve run him through the motions, read on to check out some additional thoughts and over 50 HD images after the break courtesy of Entertainment Earth! 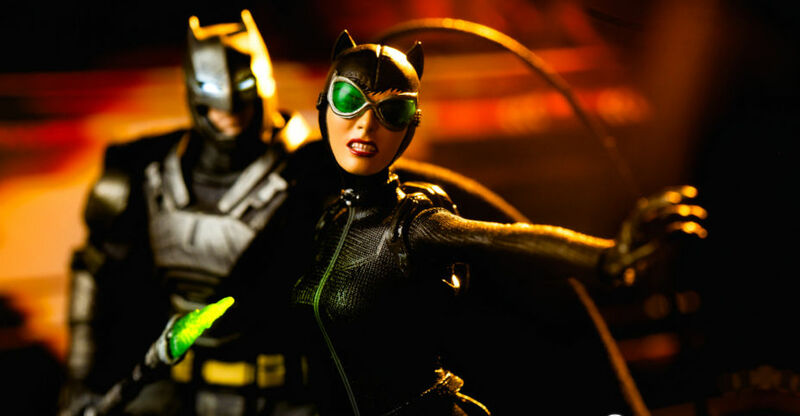 Mezco’s One:12 Collective line of 6″ scale figures has seen a wide mix of licenses since its inception. While the majority of releases seem to focus on Marvel and DC Comics releases, they have been mixing in other genres for fans of the line. Horror themed releases have been a part of Mezco for as long as I can remember. 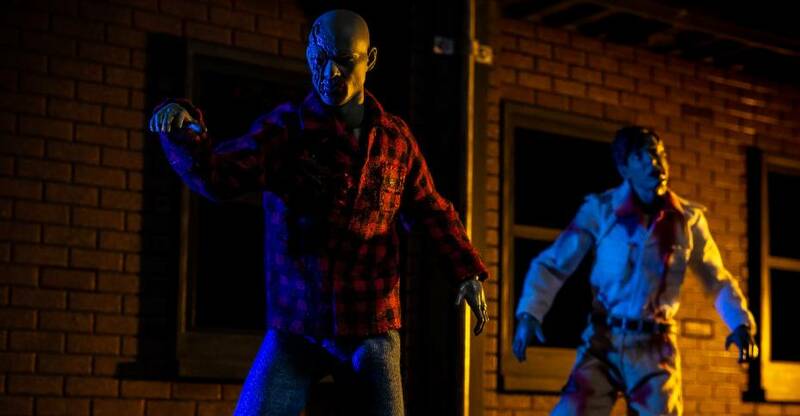 From Cinema of Fear, to Vinyl Figures, to their long running Living Dead Doll line up, Mezco is one of a few mainstream companies that has consistently kept horror collectibles on the market. 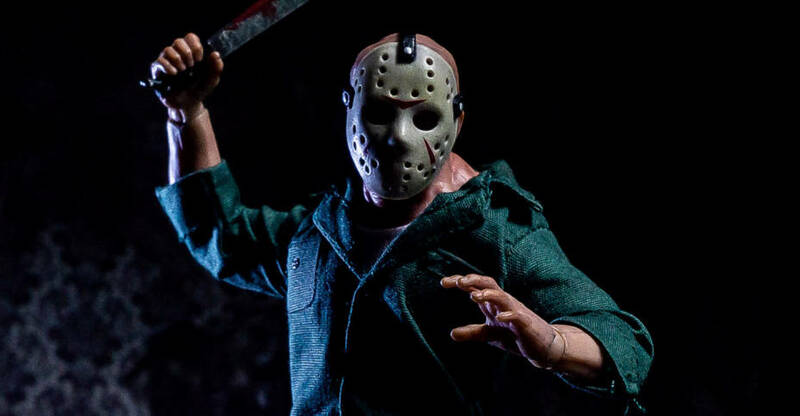 Their One:12 Collective line of figures has been slowly gaining more and more cult and horror licenses. 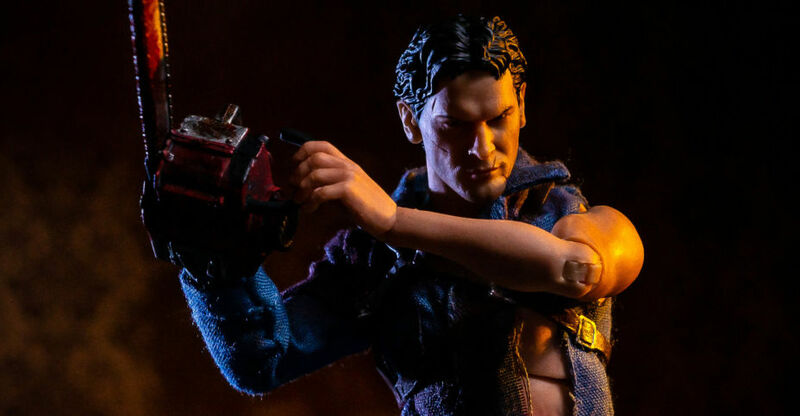 From Frankenstein, to Evil Dead, to Friday the 13th and Dawn of the Dead, there’s a nice assortment of Horror figures in this fan favorite style. 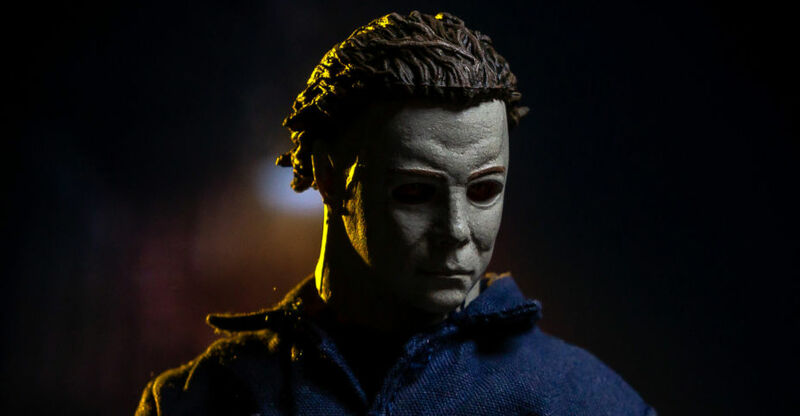 One of the biggest surprises was when Mezco debuted their Halloween – Michael Myers Figure back at San Diego Comic-Con 2017. It had been some time since a classic style Michael Myers had been on the market, and horror fans were starved for anything they could get their hands on. The figure initially went up for pre-order on Halloween 2017, and has long since been sold out. The figure, though, has now been released and we have a full photo shoot and review. We picked up the figure from sponsor Dorkside Toys. See the photos and more after the jump. 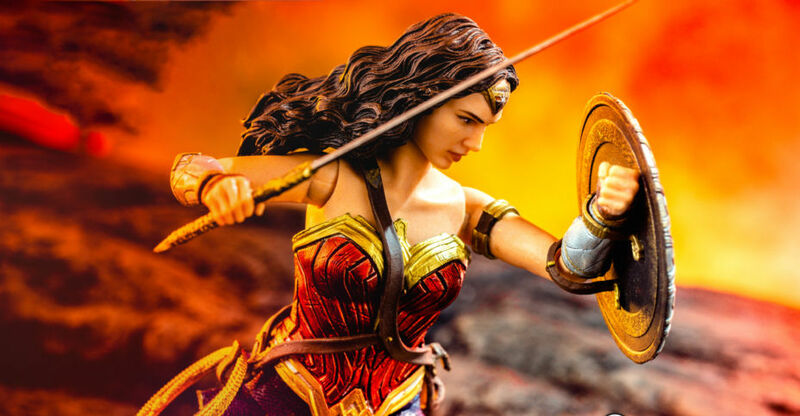 Last up in our week of DC galleries is the recent release of Wonder Woman from Mezco Toyz One:12 Collective. This is the DCEU version of Wonder Woman, which can work for pretty much any movie she’s been in so far, Batman V Superman, Wonder Woman or Justice League. She comes packed with a sword, shield, wrapped up lasso, extended lasso, display stand and base, 3 sets of hands and 2 heads. Her skirt is a pleather material while the rest of the figure sports sculpted details. She pairs perfectly with the Batman Vs. Superman Batman and Superman figures. We’ve run her through the motions with over 40 HD images, read on to check them and some additional thoughts after the break courtesy of Entertainment Earth! Related Entertainment Earth links: All One:12 Figures, One:12 Wonder Woman, One:12 Sovereign Knight (Blue), One:12 Clown Prince Joker, One:12 Aquaman. Those who do evil to others – the killers, the rapists, psychos, sadists – you will come to know me well. The Punisher is on the scene! 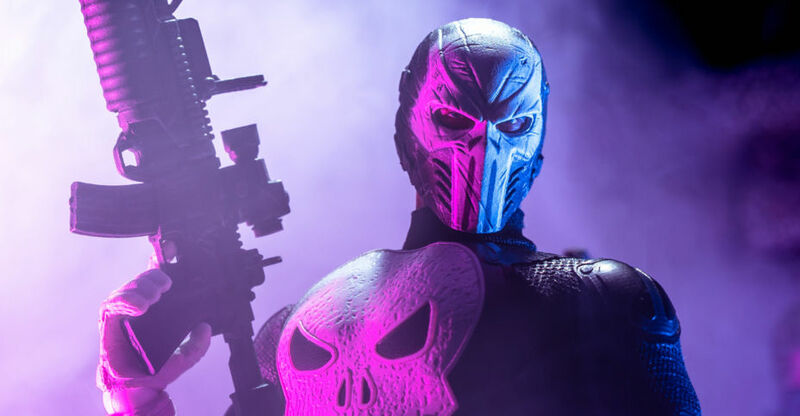 Today we are taking a look at the phenomenal Mezco Toyz One:12 Collective Special Ops Punisher. This figure is a Mezco exclusive, releasing first at SDCC 2018 with limited online orders shipping afterwards. I was at SDCC, but never have time for lines so I ordered mine online and was lucky enough to get an order in (sorry to those that couldn’t, I’ve been there). The figure comes with a new set of clothing and gear, a style I prefer on the One:12 figures. The suit has a rubber like material throughout, no cotton based fabric. Different patches and logos are layered on top of that. It makes the transition into the gloves, feet and head more natural in my opinion. It’s also well tailored, tight fitting to the body. It’s really as close as you can get to a standard all plastic figure while staying in the One:12 world. On top of all that, this is the Spec Ops version – so he comes with a TON of gear. 4 guns, a missile launcher, grenades, knife, extra clips and ammo for all those, bullet effects pieces that can attach to the guns, a duffel bag with working zipper to put all this in, and a One:12 stand with the Punisher logo. On the figure, we have 3 heads including a masked version with Punisher logo and 4 sets of hands. All in all it’s a complete offering that gives you almost anything you can want for a Punisher. Bottom line, epic piece. I pick and choose my One:12 figures, and am even more picky with Marvel in general, but this guy was too good to pass up. If you run into him and you have the funds, grab him, worth the cash. Read on to check out 100 shots of him, both technical and fancy pants, after the break! 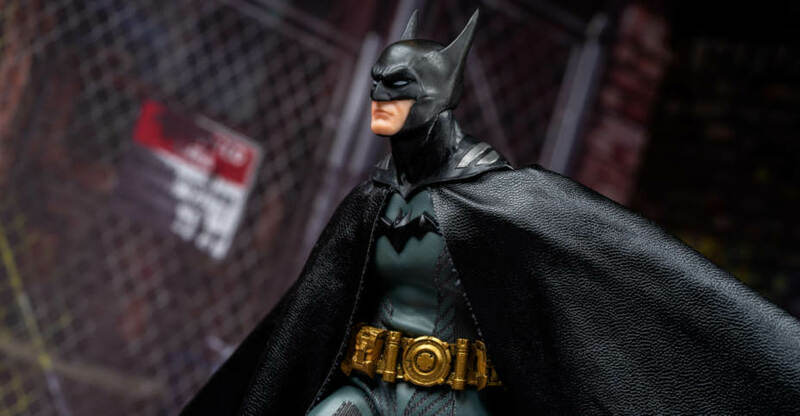 Mezco’s One:12 Collective is a new bar for collector level figures, doing a mix of movie accurate and classic figures from DC, Marvel and even some vintage properties. Today we are taking a look at one of their recent Batman offerings – Ascending Knight Batman! This is the first in a series of Batman related figures from Mezco that is not based on any specific look or story from the lore. It’s their own vision of Batman through the years. Ascending Knight is the equivalent of a “Year One”, an early-on version of Batman. He pulls cues from his Detective Comics debut with the elongated ears, shorter gloves and wide black Bat Symbol. This is all done in a modern way though, with upgraded tech and materials throughout both as a toy and what it would represent in the modern world of gear. His accessories are deep with 10 Batarangs, 3 sets of hands +1, wrist dart gun, grappling gun with 3 interchangeable hooks in different states of deployment, and a “Bat-Brick”. The Bat-Brick is a super big Batarang that folds in half and has slots for his fingers. He also has an unmasked Bruce Wayne head and a One:12 stand featuring this Bat Symbol. All in all it’s a solid entry to the Batman shelves. The draw will be when all of the Mezcoverse Batman figures are out, the next being modern day Sovereign Knight. Once these can all be on display together it will be an awesome setup. We’ve done up some shots showing him off, you can check over 70 HD images after the break courtesy of Entertainment Earth! Related Entertainment Earth links: All One:12 Figures, One:12 Sovereign Knight, One:12 Catwoman, One:12 Darkseid, One:12 Jason Vorhees. Background featured in pics below are from Extreme-Sets.com. Enter code TOYARK at checkout and get 15% off your order!